Music / Food / Family Fun / Giveaways and more! 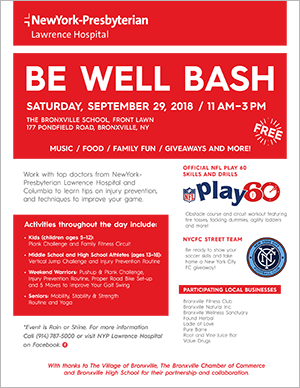 Work with top doctors from NewYork-Presbyterian Lawrence Hospital and Columbia to learn tips on injury prevention, and techniques to improve your game. Obstacle course and circuit workout featuring tire tosses, tackling dummies, agility ladders and more! 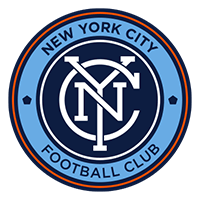 Be ready to show your soccer skills and take home a New York City FC giveaway! With thanks to The Village of Bronxville, The Bronxville Chamber of Commerce and Bronxville High School for their partnership and collaboration.